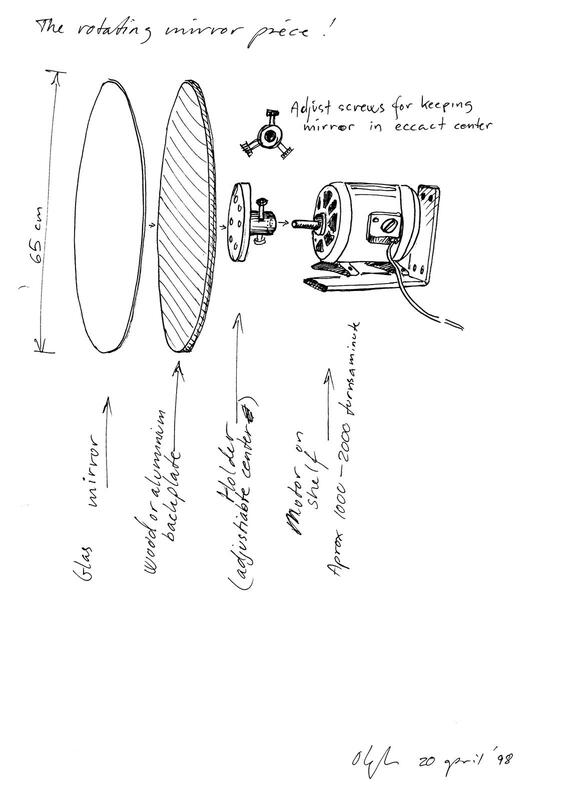 Hung at eye level on a wall, a mirror driven by a motor spins rapidly. Mounted on a tripod across from the rotating mirror is another, static mirror. 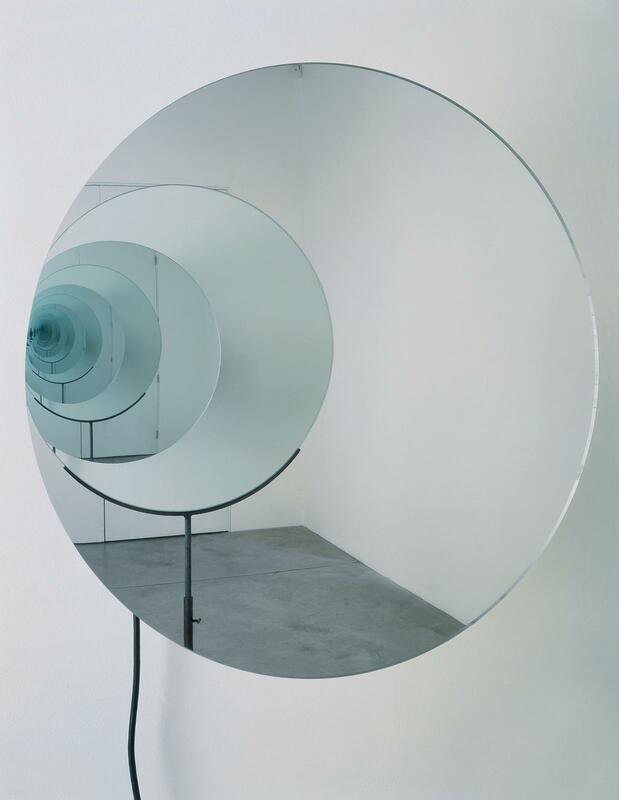 The construction of facing mirrors conjures a shimmering, infinite vortex.